for all your sweetness that has warmed my heart from day to day! That clutch is adorable :D Happy Holidays! such a lovely post. Your outfit is so darling and festive! Have a great holiday; you deserve it. love those plaid shorts and the candle burning in the wreath! happy hoidays!! Nice pictures, I like the way you dress yourself! The best thing ever is to be at home with your loved ones in Christmas time! A Merry Xmas to you too. Your outfit is so Christmas-y! Ideal! Such an adorable Christmas outfit! Gorgeous pics, I love your look! Perfect outfit for Christmas and I love the antlers! I adore your clutch, its magical! Merry Christmas!!!!!! Have a wonderful time!! Wishing you and yours many blessings and much happiness! SO SO pretty! Love the plaid shorts. Merry Christmas, Bonnie! 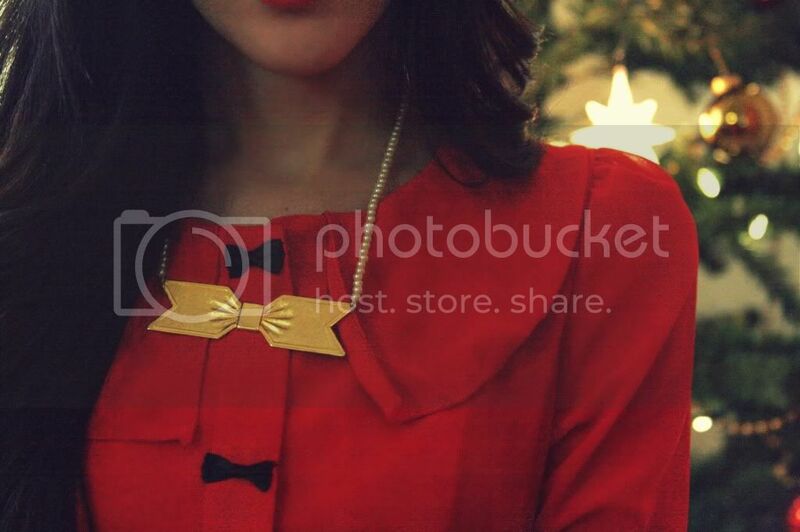 <3 I love that bow blouse! I wish all the best to you and I hope you have a wonderful 2012! The blouse and necklace are just perfect! 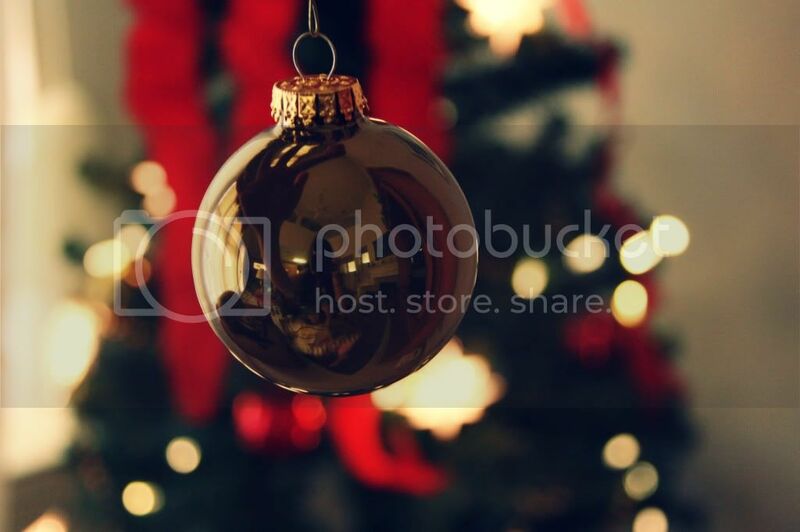 And I love that photo of the bauble. such a cute christmas look! Thank you! Happy holiday to you too :) Lovely pics by the way!!! and i hope you can check it! Your Christmas outfit is absolutely perfect, hope your holiday was magical! You're so adorable! I love the red top with the gold bow necklace, and the shorts are perfect with it! Merry Christmas! enter my giveaway to win a jewelmint/stylemint piece of your choice! you are so adorable with the reindeer ears :p the outfit is so lovely and festive, i adore the shoes. merry christmas to you too!! that bow necklace is super cute. Happy Holidays for you too ^^. thank you for your comment!! your blog is lovely!! Nice photos and outfit ! Love your blog ! the top is just so cute with the little bows ! hey, do you want to follow each other ? 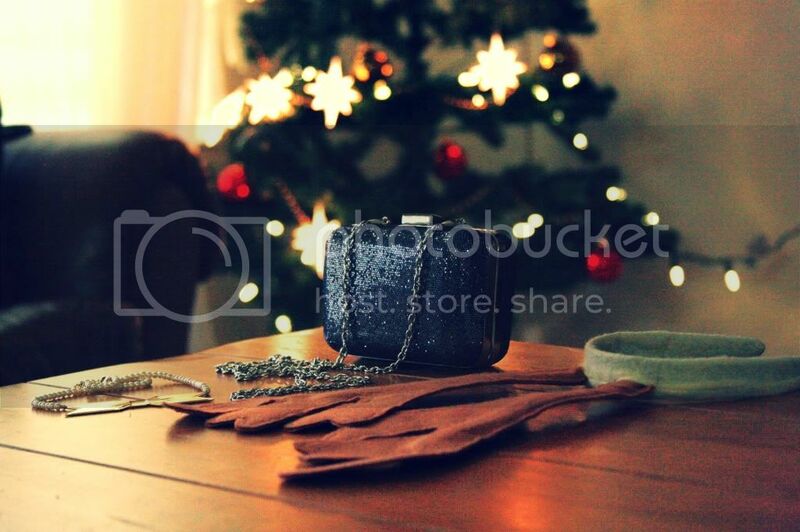 Beautiful holiday photos! Love your plaid shorts. Hope you had a lovely holiday. LOVE your christmas outfit! and that bag is gorgous! Super cute outfit! You look wonderful & looks like your house is all wonderfully decorated and looking homey for the holiday. Hope yours was wonderful! Your shirt and short is love it..
me encanta la mezcla de camisa roja y pantalón. es muy bonita y el colgante una pasada, se puede poner para estas fiestas. gracias por tu comentario maja. Hope you had an amazing Xmas! Loved the outfit!! Aww, you look so sweet and chic with the little bow details! Merry Christmas!! Adorable Christmas outfit! Hope you had a wonderful holiday! i love your sweet and vintage style , Bonnie. I love those golden necklace too! i think it's so christmas-y! such a cute christmas outfit, love the ribbons everywhere! you are tooo adorable! I actually have a skirt that looks just like that, and you just gave me inspiration to wear it! :) Thanks! Can't wait for your next post and Happy Holidays! 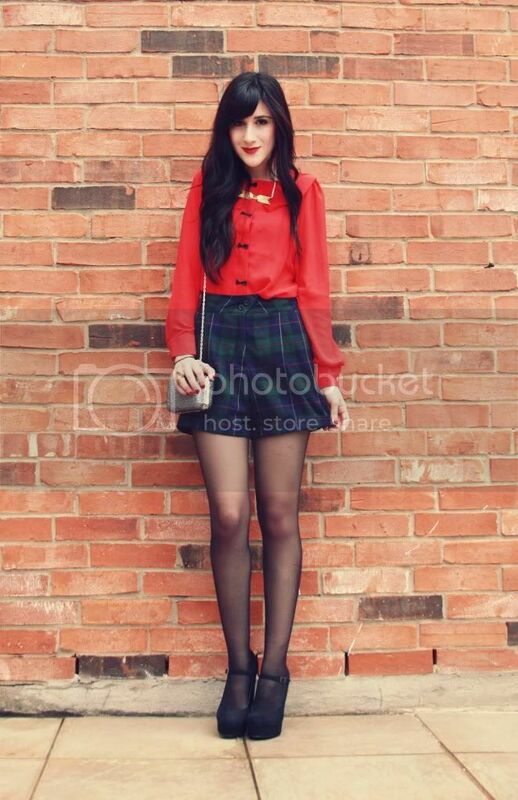 So pretty with your red lips :) And love the outfit! Happy holidays! I love your shoes very much! i love your Christmas outfit! so cute. I hope you had a great Christmas, Bonnie. You look fabulous, as usual. :) I really love the antlers! haha! Beautiful shots!!!!! I really love your look! I love how it's school girl with a twist. Love the bows on your button down! 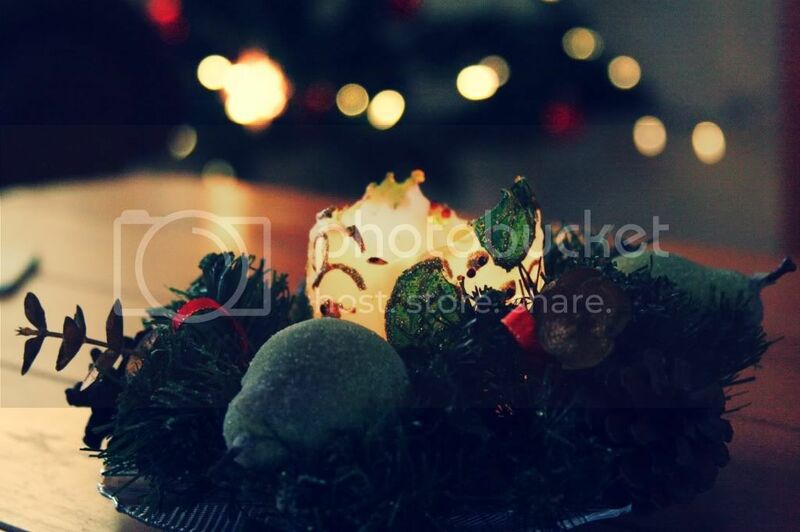 Merry Christmas.. Definitely love your photographs, did you edit it yourself? Adorable. Love the blouse. Merry Christmas and a Happy New Year. Love the antlers! Hope you had a fab holiday, Bonnie! You have the most amazing style, you look beautiful. great pictures you look beautiful! Merry Chritsmas for you too!! Merry Christmas to you too! I really love your outfit. 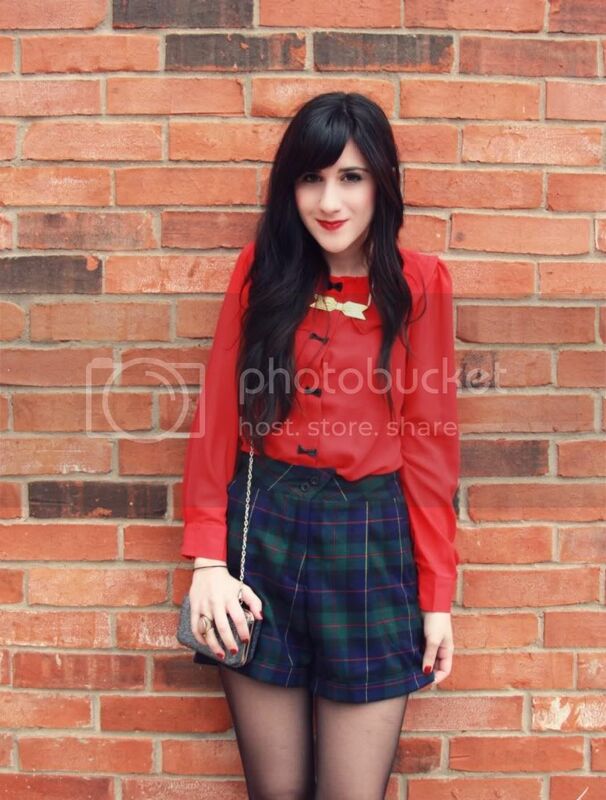 Those plaid shorts are amazing and your red top with the bow detailing is adorable. I love this outfit. So festive!